Since the earliest days of the Space Age, artists have attempted to depict what missions to the Moon or deeper into space might look like. 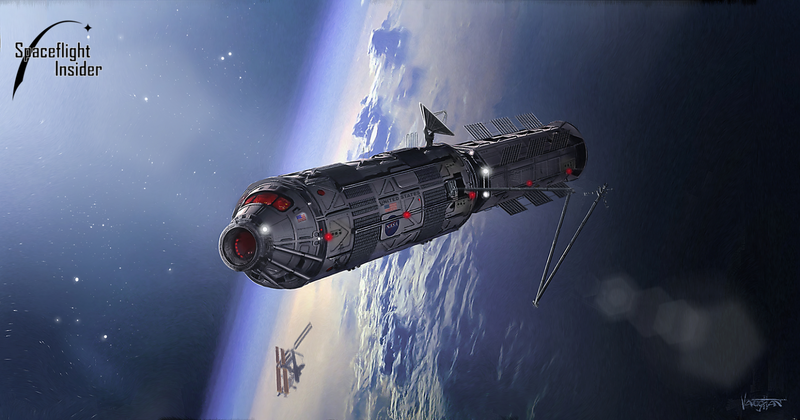 SpaceFlight Insider’s James Vaughan carries on that proud tradition with images of what the Chicago-based graphic illustrator thinks might be just over the horizon for the U.S. space agency’s crewed exploration ambitions. NASA is currently operating without a clear mandate, as the Obama Administration canceled the last one the agency had been working on back in 2009 (the Vision for Space Exploration). However, with support inside Congress, the space agency hammered out its “Journey to Mars” initiative, which provides plans to send crews to the Red Planet by the 2030s. For his part, Vaughan joins a proud lineage of space artists that includes Chesley Bonestell, Pat Rawlings, Mark Dowman, and many others. “I, like so many people, am inspired by visions of what comes next. It’s that curiosity that compels me in creating the imagery that I produce,” Vaughan told SpaceFlight Insider. NASA’s current plan involves three phases: Earth-reliant, proving ground, and Earth independent. Right now, the agency is working through the first phase, which includes the development of deep space systems for life support and human health. Proving ground missions will involve demonstrating regular crewed missions and spacewalks in cislunar space and verifying deep space habitation. 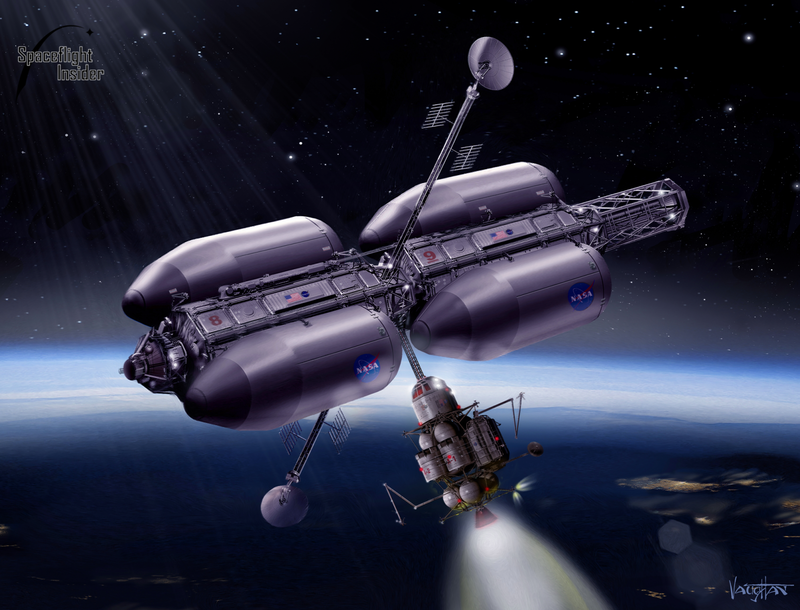 NASA will also conduct a yearlong mission in deep space to validate the systems’ readiness for Mars. Additionally, the proving ground phase will include the Asteroid Redirect Mission. Finally, the Earth independent phase will see science missions paving the way toward Mars by demonstrating entry, descent, and landing techniques to allow for multi-ton payloads to land on the surface of the Red Planet. 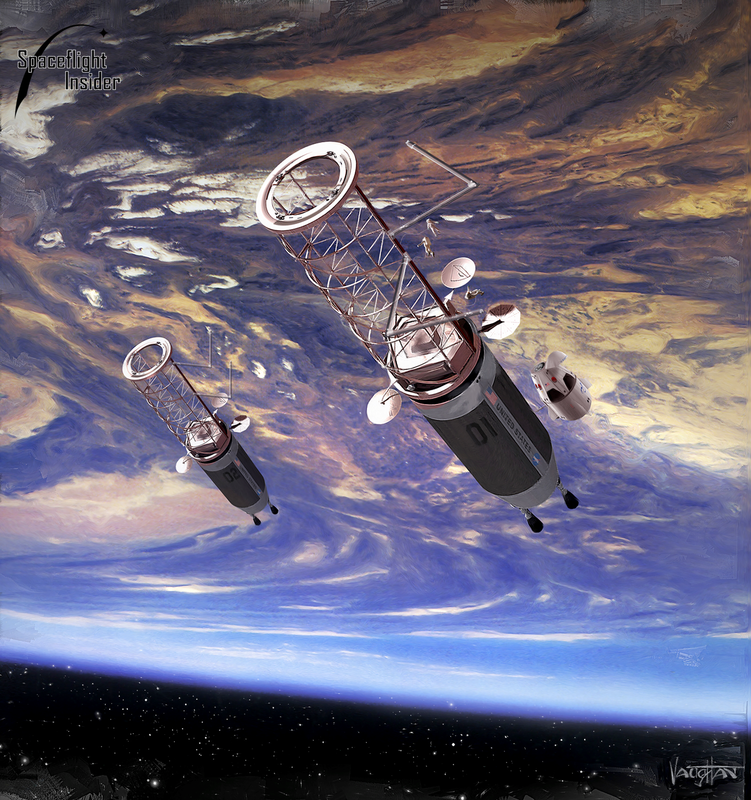 These missions would also show the reliability of in-situ resource systems as well. If all goes according to plan, NASA hopes to see humans orbit Mars by the early 2030s. I was not familiar with James Vaughan’s art before this article, but I have to say he belongs among the greats of aerospace illustration . I hope he has a long and prolific career. Thanx!